After making headlines and for its several controversies and delays, Manikarnika: The Queen Of Jhansi hit the theatres on January 25th. The film is off to a fabulous start, and earned Rs 8.75 crore on its opening day. It witnessed a massive boost on the Republic Day holiday and made Rs 18.10 crore. According to experts, it is expected to have made Rs20 crore on Sunday, taking its total to around around Rs 46 crore approx. Manikarnika:- The Queen Of Jhansi tells the tale of Rani Laxmibai, who fought till her last breath against the East India Company and the British to prevent her kingdom of Jhansi from falling into their hands. Critics have unanimously hailed Kangana Ranaut's portrayal of the warrior queen, although the film itself has received mixed reviews. India Today critic Lakshana Palat gave it 3 out of 5 stars. "Sadly, the 148-minutes. 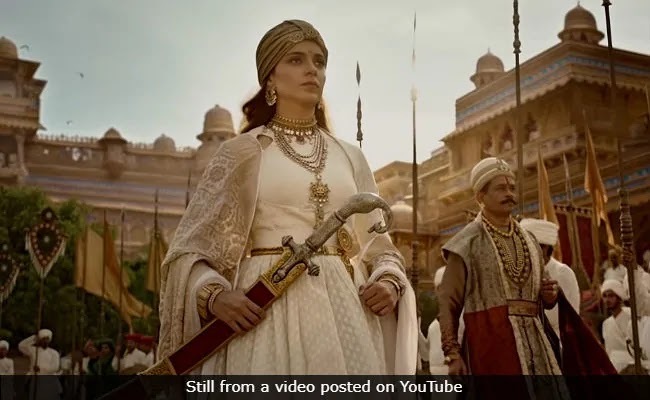 Manikarnika:- The Queen of Jhansi, which is a collaborative effort from directors Kangana and Krish arnikaJagarlamudi, fails to give Laxmibai's character some substance and more shades. What Manikarnika turns out to be is thus something straight out of a Class-8th history textbook; at points, even an Amar Chitra tale," she wrote in her review. Manikarnika: The Queen Of Jhansi is also the debut of Ankita Lokhande, who was seen playing Jhalkaribai, a solider who rose through the ranks in Rani Laxmibai's army to become a prominent advisor.